$95 Registration due by September 18. Conflict is everywhere. Whether at school, work or home, with people we don’t like or among our closest friends, we all deal with conflict as part of life. As difficult as it may be, conflict creates opportunities for us to grow and form healthy relationships. 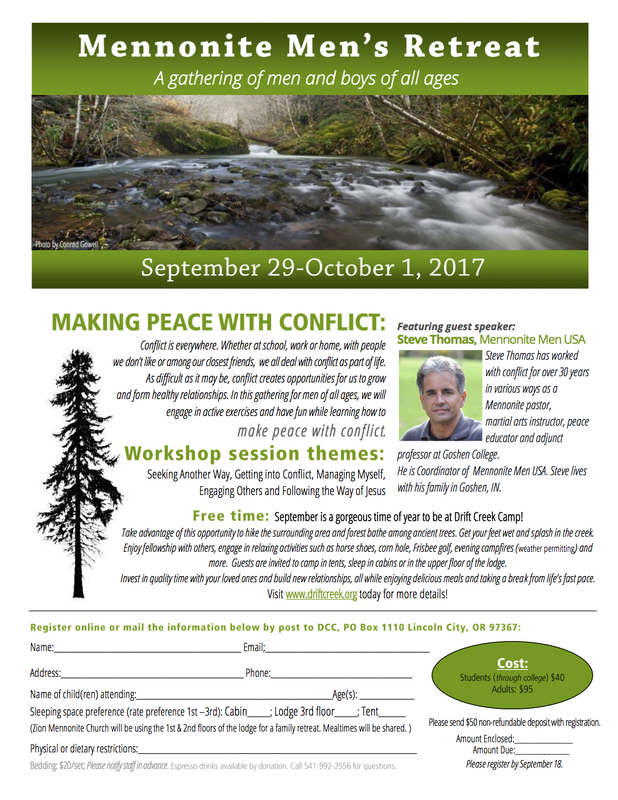 In this gathering for men of all ages, we will engage in active exercises and have fun while learning how to make peace with conflict. 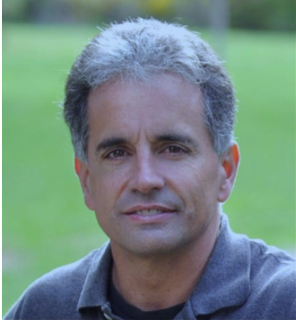 Steve Thomas has worked with conflict for over 30 years in various ways as a Mennonite pastor, martial arts instructor, peace educator and adjunct professor at Goshen College. He is Coordinator of Mennonite Men USA. Steve lives with his family in Goshen, IN. Free Time: September is a gorgeous time of year to be at Drift Creek Camp! Take advantage of this opportunity to hike the surrounding area and forest bathe among ancient trees. Get your feet wet and splash in the creek. Enjoy fellowship with others, engage in relaxing activities such as horse shoes, corn hole, Frisbee golf, evening campfires (weather permitting) and more. Guests are invited to camp in tents, sleep in cabins or in the upper floor of the lodge. Invest in quality time with your loved ones and build new relationships, all while enjoying delicious meals and taking a break from life’s fast pace.